Newton Square is located in the center of Silicon Valley in the city of Mountain View. 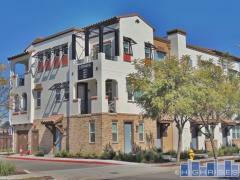 The community consists of 24 townhomes with a variety of floor plan options and is within walking distance of Sierra Vista Park. Have any comments or questions about Newton Square Condos? Ask your question and/or share your thoughts about this Building.